Below The Heavnes, 10 Years Later! 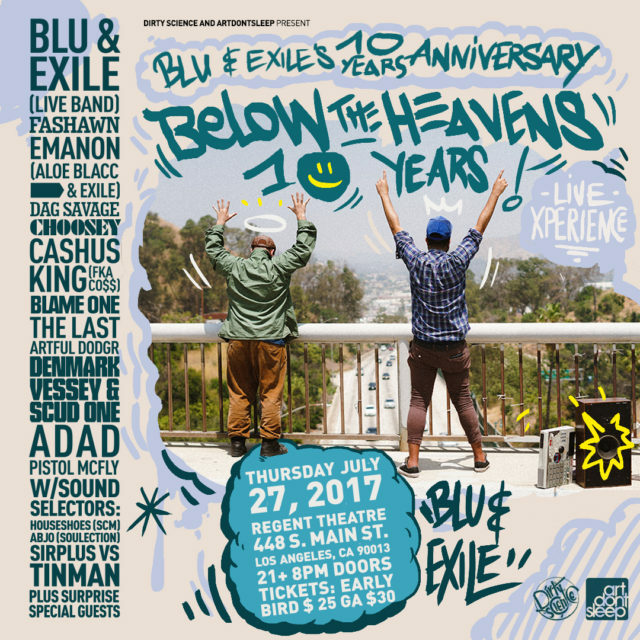 It’s our great pleasure to present, Blu and Exile’s 10 Year Anniversary celebration of Below The Heavens! Exile got the entire Dirty Science crew together to celebrate, along with some very special surprise guests. Grab your early bird discount tickets while limited quantities last.